I have a confession: when it comes to photography, posing is not my favorite thing. And when it comes to posing my own family - well - let's just say sometimes it doesn't bring out something pretty in me. So, on Easter, when I tried to take pictures of my children in front of a tree both looking at the camera, it did not go great. Something that should have been very simple, ended up making me feel awful. My daughter was overdue for a nap and all my son wanted to do was change clothes and run around. I was beyond irritated - and my children were unhappy - and the pictures showed it. I tell you this story because I am guilty of getting in God's way - and I would guess I am not alone. With the best of intentions, we try to be the director. Of course, the real issue is, we have no idea how the play is supposed to go or what the moments are supposed to be. We just think we do, so we move without allowing room for God, and then we are disappointed by the results. And the real Director just smiles. He smiles because He knows if we would only get out of the way, we would love to sit and watch the play from the seats and really enjoy it. And it wouldn't be so much work. So Thursday evening, while Jason and I were talking with a friend and my camera was in the car, I was out of God's way. I looked up, and He was amazing. 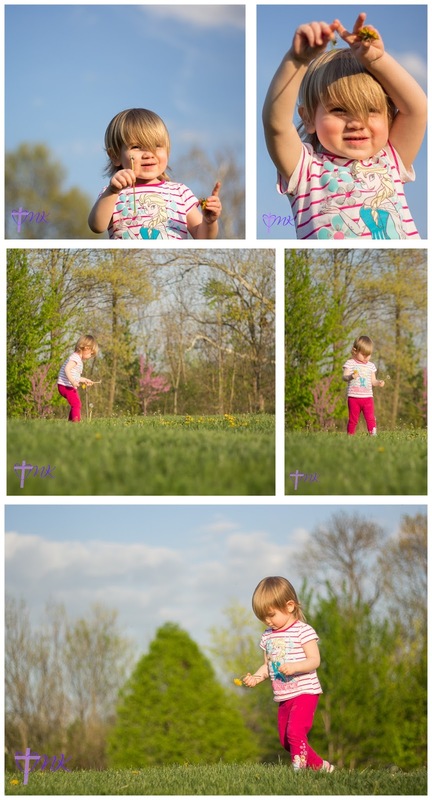 The light danced and a little girl played in a field of dandelions. And even though her clothes weren't fancy and her hair was crazy, she was sweet and happy and lovely. When I grabbed my camera, I loved every minute of it. And God did it all - because I got out of His way and let Him direct the moments. Photography became my obsession in 2010 after leaving a career as an elementary teacher. 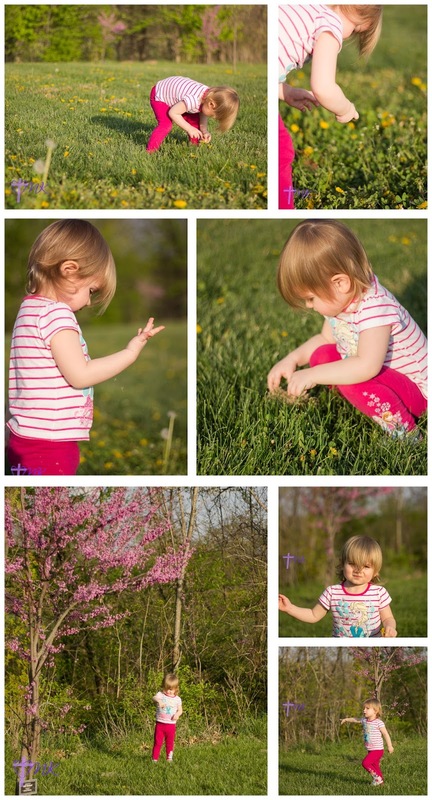 When I had my second child in 2013, I began to see that photographing the daily details of our life was one of the most important things I could have as a mother. Since I had always loved watching children grow and learn and change, getting to hold on to those precious moments of my children's lives in a beautiful way was life altering to me. I long to provide that same experience to other families in the St. Charles area. Families that know that the moments are fleeting and that while their lives, children, and homes may not be perfect, their love is. All images & text copyright Melissa Kayser. Theme images by merrymoonmary. Powered by Blogger.